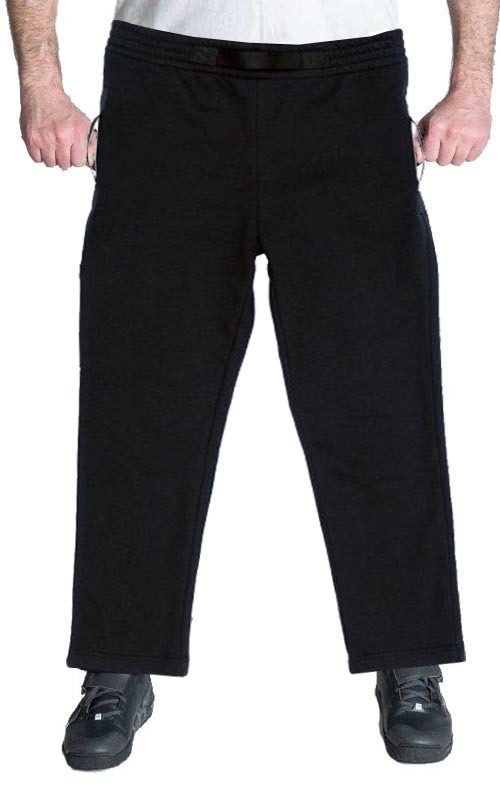 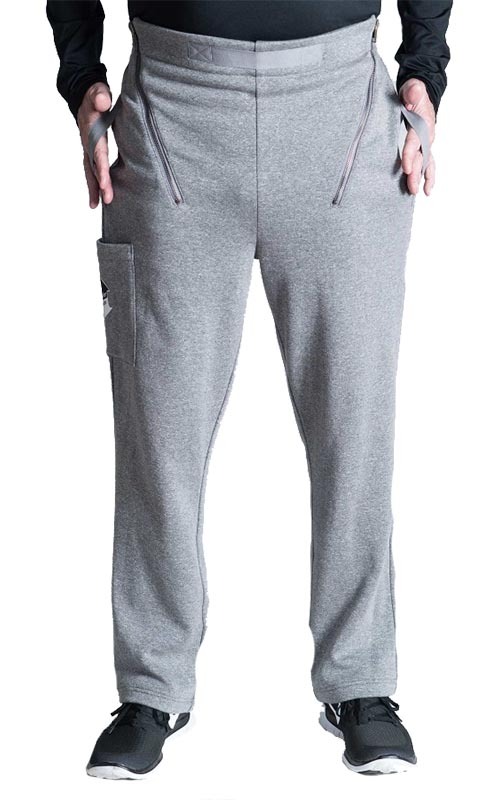 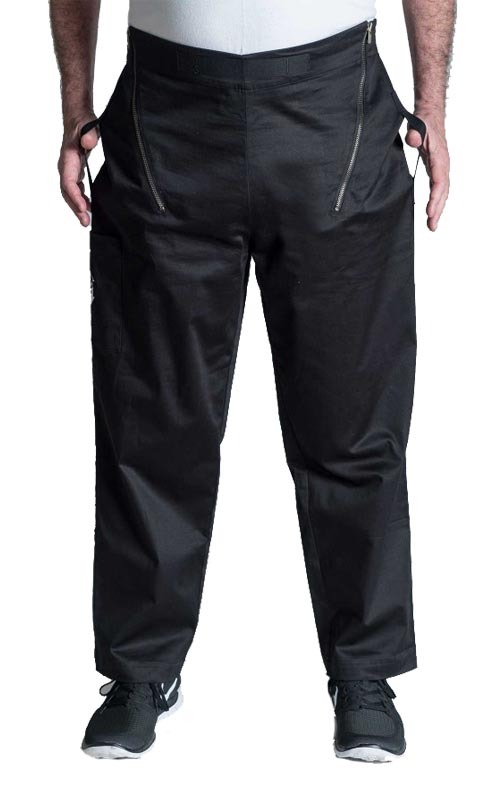 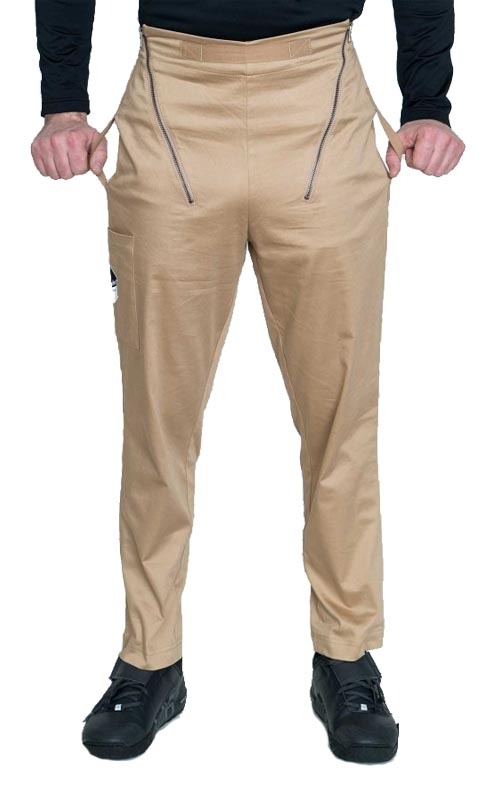 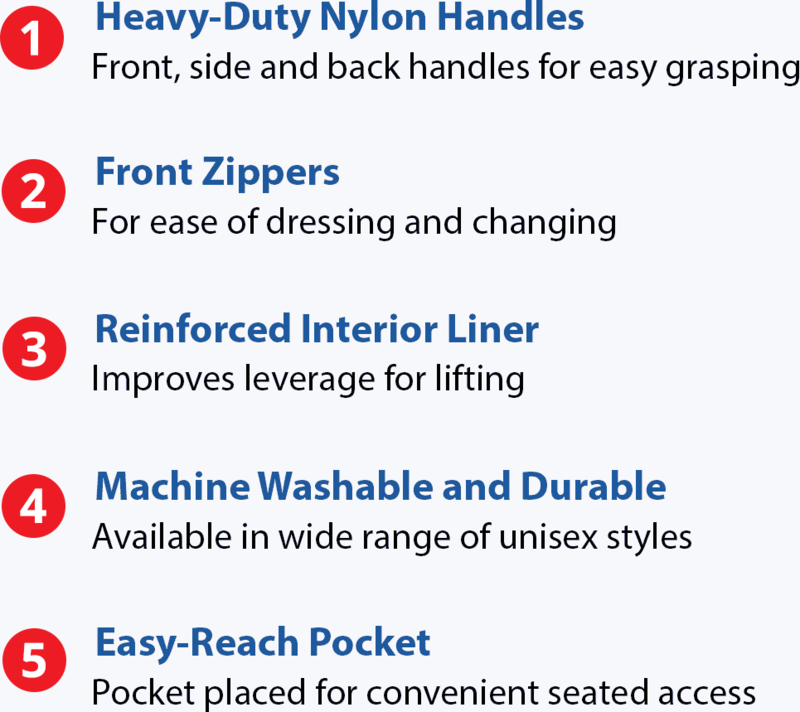 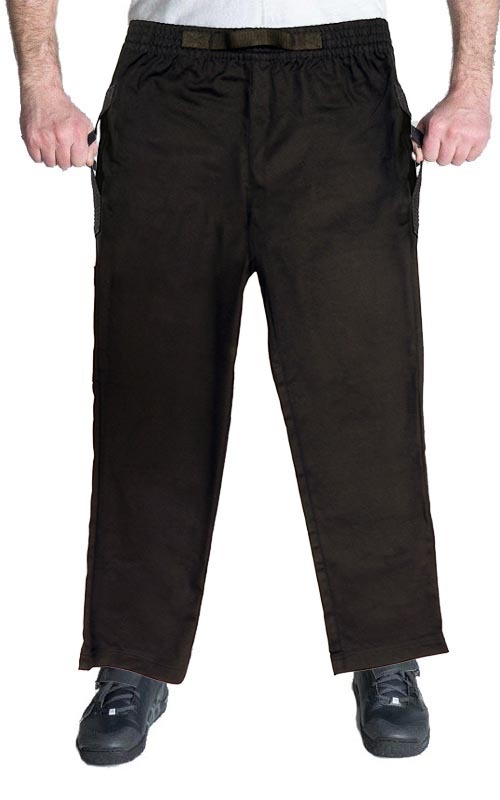 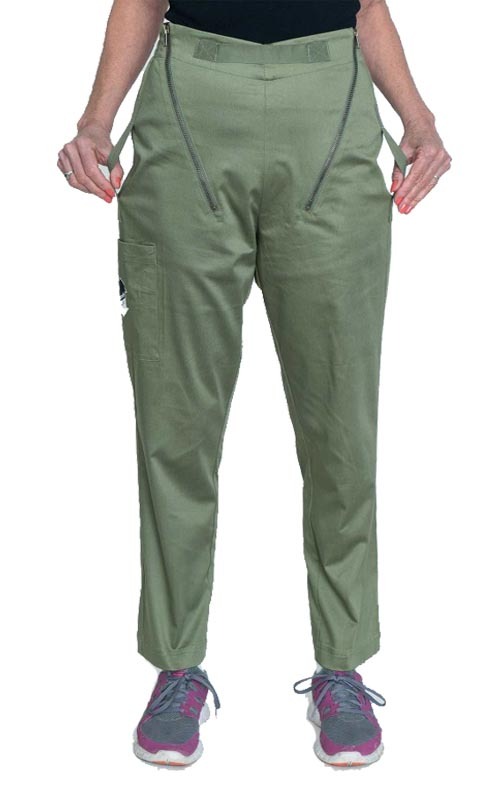 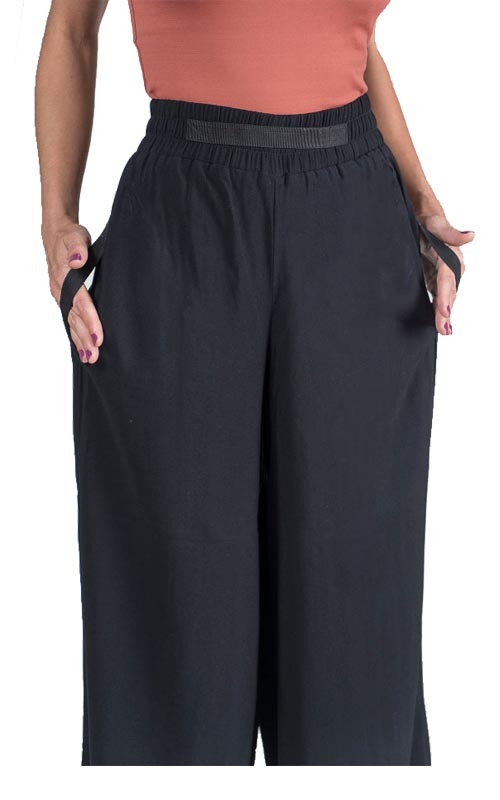 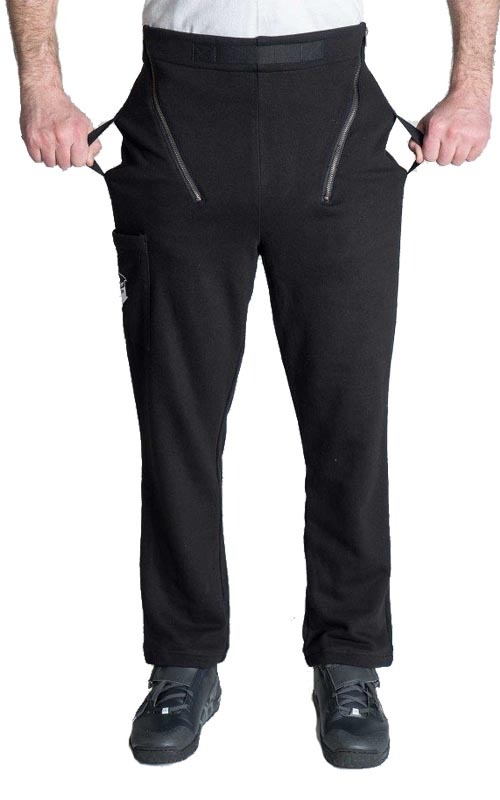 High quality unisex pants designed to move disabled persons with improved ease and comfort. 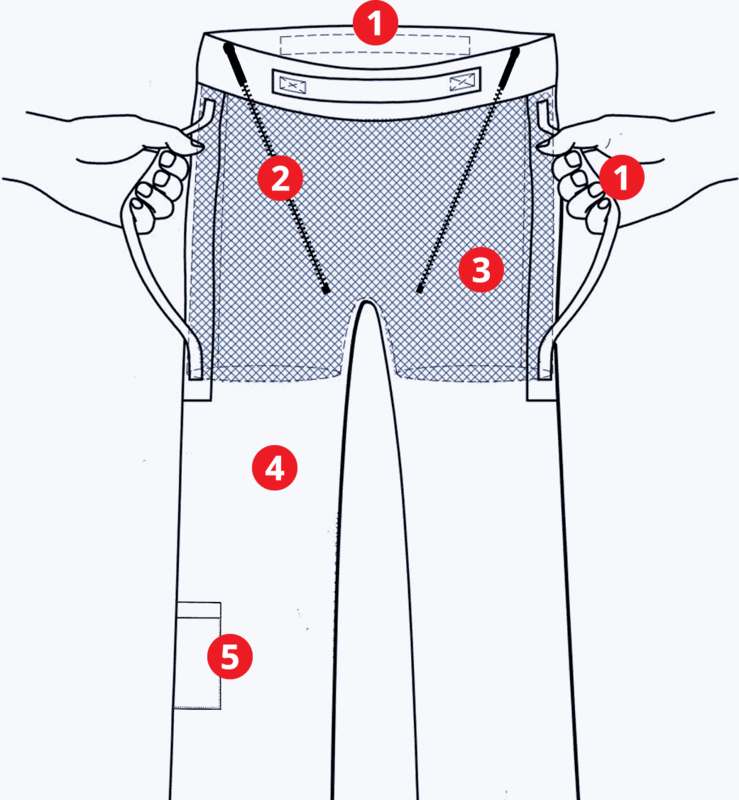 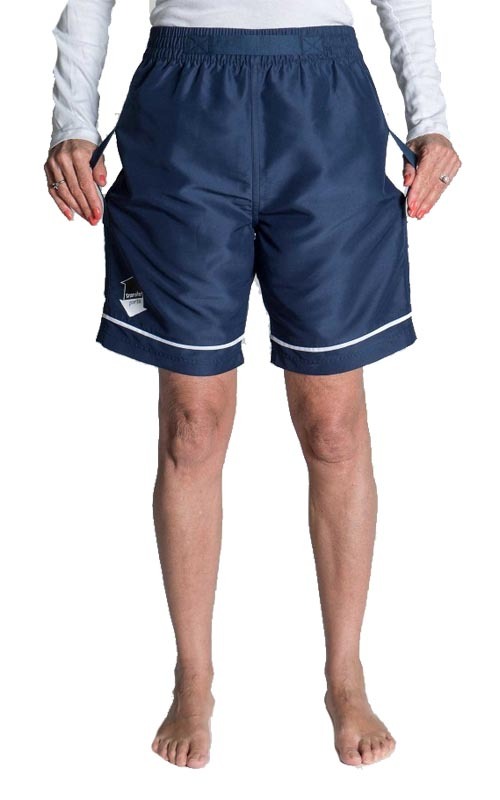 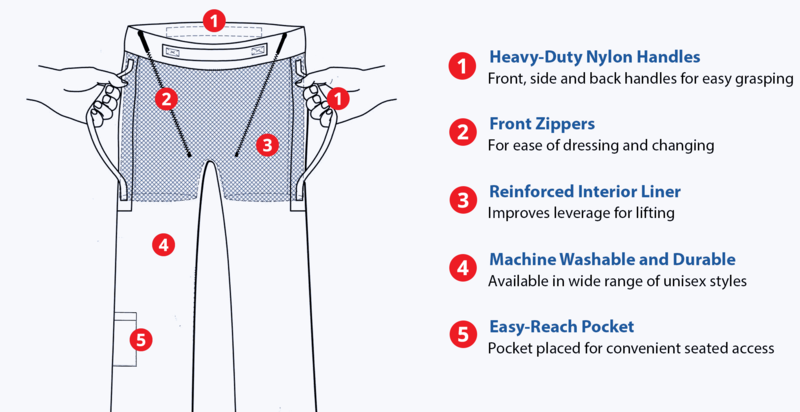 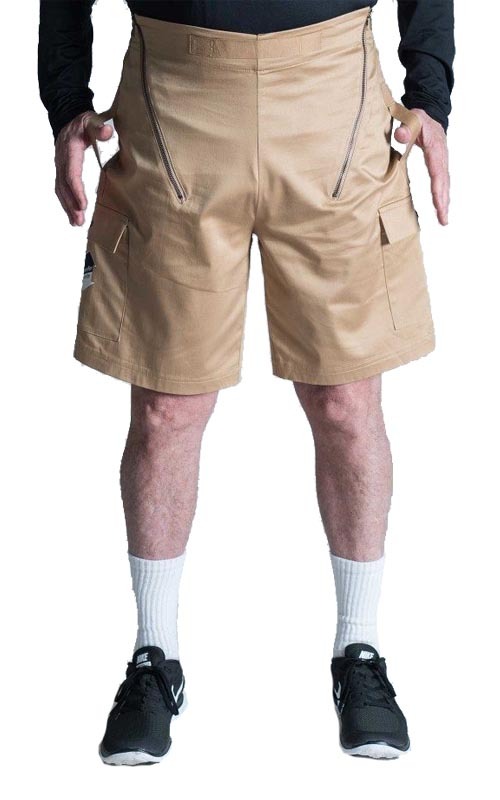 Transfer Pants are a patient transfer device made with heavy duty nylon handles sewn into the pants and the liner to prevent falls and injuries to mobility challenged individuals. 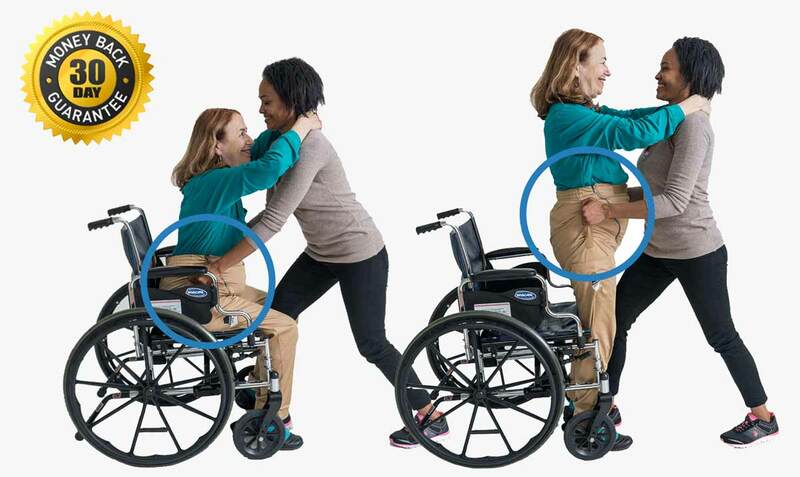 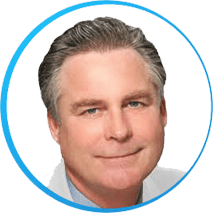 Inspired to help caregivers move his fragile 91-year-old mother to and from her wheelchair, Dr. Milton O’Brien designed a bio-mechanically pants to accommodate mobility challenged individuals which is now called, TransferPants™.